As you may already know, cuttlefish can change their color so as to disguise themselves. 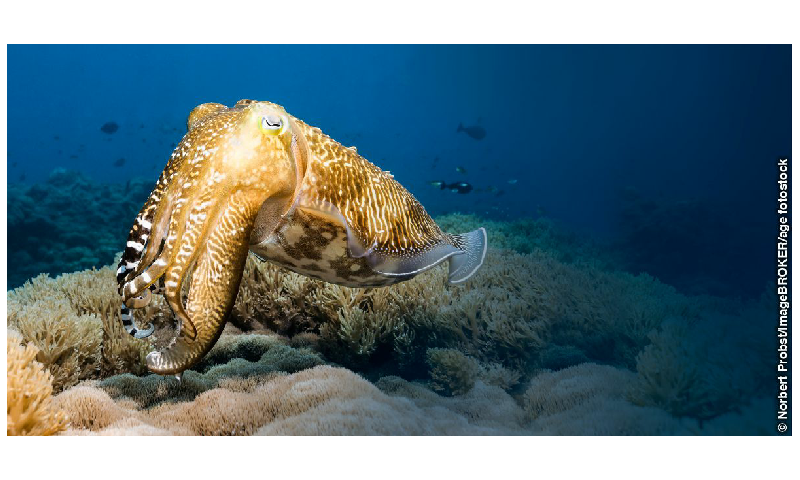 This color changing ability of cuttlefish is so unique because once they camouflage themselves, they will become almost invisible to the human eye, since they "have a diverse range of body patterns and they can switch between them almost instantaneously." How are cuttlefish able to do this? Going into every details concerning the cuttlefish color changing mechanism can be overwhelming. Dose this means that you can never understand how this amazing feature of cuttlefish is accomplished? Not at all. The cuttlefish changes color by using the chromatophore. Chromatophore are special kind of cell that are found under their skin. These chromatophores contain sacs that are full of color pigment and that are surrounded by tiny muscles. When the cuttlefish needs to camouflage itself, its brain sends a signal to contract the muscles around the sacs. Then the sacs and the pigment within them expand, and the cuttlefish quickly changes its color and pattern.